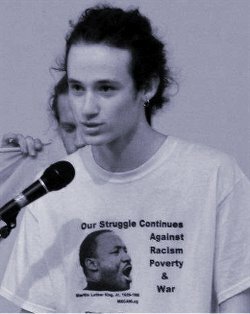 Cavanaugh is a low-wage worker in Rockford, Ill., and a national leader of Fight Imperialism, Stand Together (FIST, fightimperialism.org). He delivered this talk at the Food Is a Right People’s Assembly in Chicago on Aug. 16. The life of a fast food worker is one of constant uncertainty, unrewarding work and sacrifices, poverty wages and bombardment by the bosses and corporate media telling us that we should be grateful for the crumbs they pass down to us. We clock in the earliest hours of the morning or work through the entire night, allowing these stores to make profits 24/7 and never close. We create enormous amounts of wealth through our labor, generating billions of dollars in profit while the bosses pay us wages so low they recommend that we apply for food stamps and second or even third jobs. For young workers it’s the same story — only with the extra baggage of age discrimination, trying to receive an education, and the common view that for some reason we do not need or deserve equitable compensation for our labor. Our unemployment rate runs over double the national average, and the poverty rate of youth is over 20 percent. This trend is unlikely to change course as this system, based solely on acquiring more profits, sheds skilled and living-wage jobs, inclining toward automation and part-time workers. The youth, those just entering the labor force and those who have been supporting themselves for years, are a huge section of the swollen ranks of the unemployed, which collectively leaves us with few options for getting by. We turn to things like selling our blood plasma, medical testing and activities deemed criminal, landing a tragic amount of young people incarcerated because this system no longer has a place for them. As we struggle even to find a job, let alone a job that can support us, we face the austerity of food stamp cuts. Almost half of all food stamp benefits go to people under 18, that being roughly 20 million youth who already struggle with access to food and hunger. In this light, we can see that these cuts are an attack not only on the poor and oppressed but specifically on youth, who feel the damaging effects of these cuts. This fact shouldn’t be lost in the course of our organizing and agitation. The youth have a key role to play in the movement. We should be in the forefront of this struggle, displaying all the courage and creativity we have to offer, like we did during the Wisconsin Capitol Occupation and the Occupy Wall Street movement. The re-emergence of youth taking a guiding role in the struggle, like they did in the liberation and anti-war movements of the 1960s and 70s, is a desperately needed and positive advancement. That, along with our heavy concentration in low-wage jobs — the new majority of the U.S. working class — puts youth in a position where we can help steer the labor movement in a more militant direction, geared at organizing sections of workers that the unions have previously been unable to organize. Even though the corporate media would probably call it my “youthful sense of over-entitlement” or “idealism,” I say with no apologies that it is every person’s human right to have healthy food, that every worker deserves $15 an hour, along with the right to a union, and that these goals are achievable through struggle. The bosses will come from every angle to delegitimize, disorient and pacify us and our message. They will lie, cheat and steal to get their way, but that doesn’t mean they will win. They can’t make profits if we shut them down. 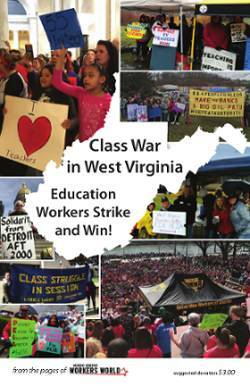 They can’t pit workers against each other if we educate and organize among the workers. They can’t claim we don’t represent mass sentiment when there are thousands of us in the street. We’ve started to see the $15-an-hour-and-a-union movement gaining traction, not only here in the U.S. but also internationally. Fast food workers held the first international strike on May 15 around that issue in over 200 cities. Not far from here, the McDonald’s headquarters was marched on, causing a shutdown of the campus. These events have been a big step forward, along with some local victories around the country to raise the minimum wage. These have been only first steps, though. The struggle ahead will be long and difficult, but I have no doubt that we will ultimately succeed. A living wage and access to food stamps are a life-or-death struggle for millions of youth across the country, and no court ruling, smear campaign or right-wing politicians can ultimately withstand our strength if we organize ourselves and stand with all those who are exploited and oppressed.